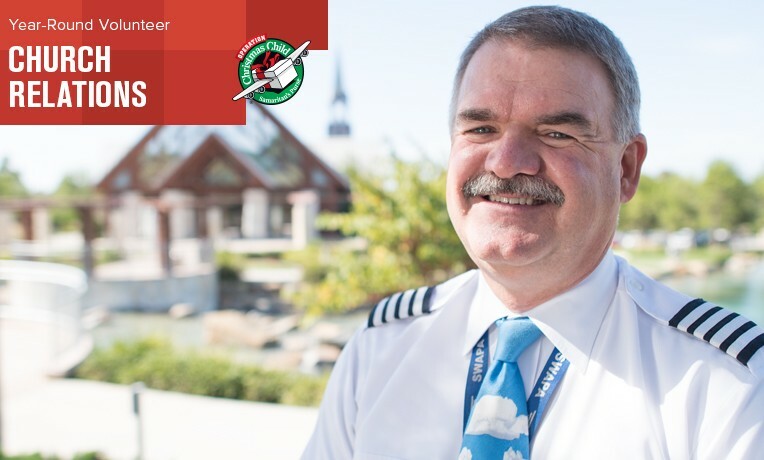 Bob Pattison, airline pilot and Operation Christmas Child year-round volunteer. Bob Pattison, church relations volunteer for South Orange County, California, works to encourage church involvement with Operation Christmas Child. His specific coverage responsibility is the San Juan Capistrano area. At monthly meetings with his team, Bob receives a spreadsheet of churches. He then contacts those churches, thanking some for their work and encouraging others to become more deeply involved.